California – this is probably the best-known US state in terms of overseas perceptions. It has become legendary for its weather, lifestyle, politics and entertainment industries. The population is approaching 40 million, meaning that California is the most populous state and the third largest in area terms. Culturally, politically and demographically, there are historic divisions between Northern and Southern California plus to some extent, eastern parts of the state. Traditionally regarded as a wealthy state, the economy would be the world’s fifth largest if California were independent. The economy is considered to be highly diverse and includes technology, manufacturing, financial services, real estate and tourism. Income and wealth distribution is highly skewed. The San Francisco Bay area has some of the highest per capita personal incomes in the USA at around $100,000 but overall 2007 figures showed an average per capita GDP of $38,900 – approximately 11th in national ranking terms. California also has the highest poverty levels in the US, stated to be 23.5%. California has slightly above the national average violent crime levels with 3.77 crimes per 1,000 against a national average of 3.47. 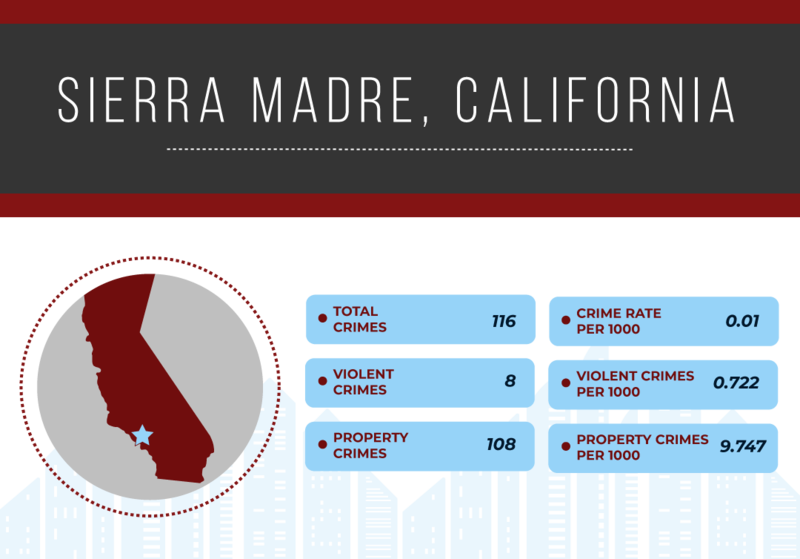 It has relatively low, compared to national averages, property crime levels of 26.14 per 1,000 with the national average being 40.43 – giving a ratio of 0.65. 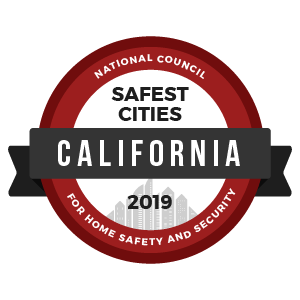 To identify the safest cities in California, we reviewed the most recent FBI Uniform Crime Report statistics. A total of 7,639 cities were factored into this ranking with populations ranging from 7,639 to 4,007,147. However, we eliminated any cities that failed to submit a complete crime report to the FBI and removed cities with populations under 10,000.